On the Island of Sodor, they use trains to transport literally everything. It’s a utopia for rail nerds, but how does the railroad stay solvent with so few people around? Like so many things in this idiosyncratic series, it’s a bit of a mystery. Get kids of both sexes into playing with model trains instead. Besides being a lot more interesting than toy cars, trains offer the opportunity for lots of creativity building a layout. We just need more contemporary train models out there. I can easily see why an F7 and heavyweight passenger cars might not hold much interest to a kid who doesn’t see those things in real life. But give them a model TGV or Shinkansen or even ACS-64 pulling Amfleets and they have something they might relate to. Or better yet how about more models of contemporary subway trains? And of course there’s lots of contemporary freight models out there. Those are interesting in their own right. They also let kids see how they fit into a larger transportation system. Thanks for this list! 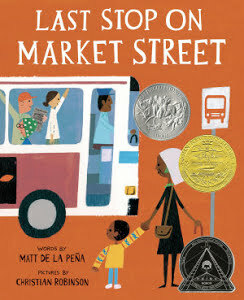 When my son was born we got about 4 copies of The Little Blue Truck, which seems to be a current favorite. The first line though is “Horn went beep, engine purred, the friendliest sound you ever heard!” I read that and was like WTF! The sound of a truck engine is friendly? One of my favorites is “Walk Rabbit Walk” by Colin McNaughton and Elizabeth Attenborough. A terrier considers alternative uses for parking spaces in a parking lot. Whether trikes, tables, vegetables, beagles, books, or benches, quite a lot could fit in those spots. 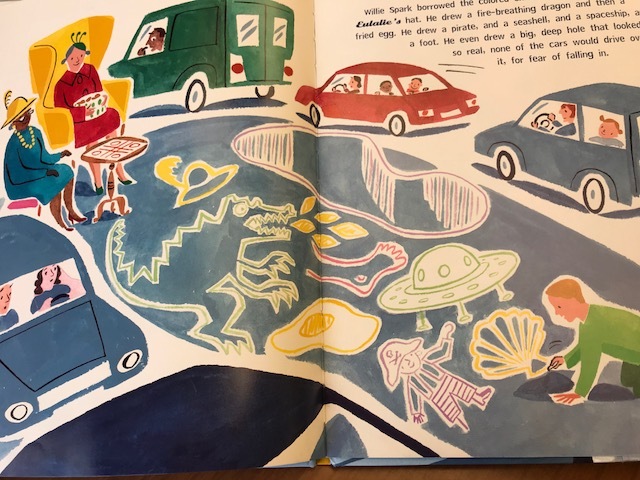 “Spot’s Parking Lot will not only entertain children but also subtly inform them about cities, economics, and the environment,” writes Donald Shoup, author of The High Cost of Free Parking. 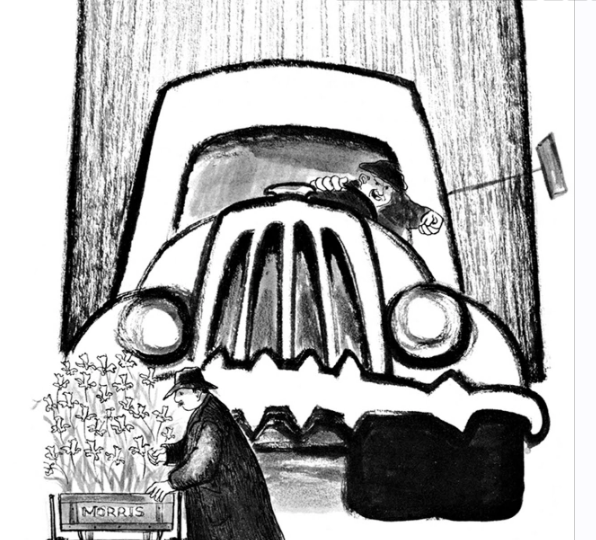 ‘Room on the Broom’, and we often referenced it when we piled onto our long tail, to see how much we could bring. “The Little Blue Truck Goes to the City” takes it a step further. it describes the city as fast and rude, while the truck is the friendly hero. 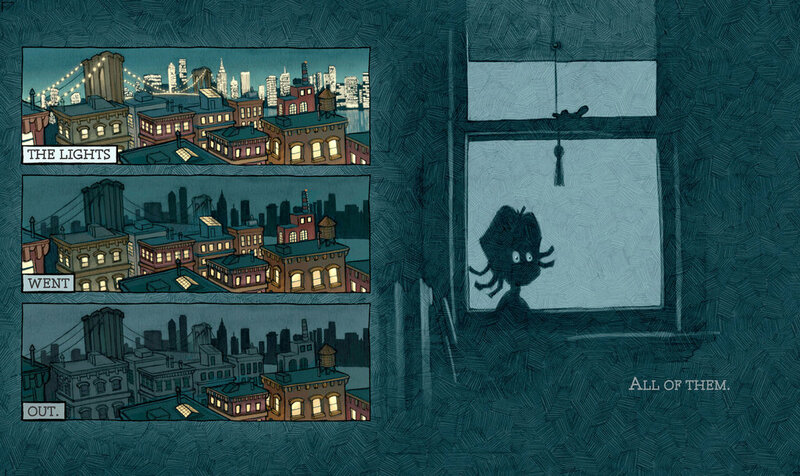 I not sure I could list all the anti-urban misconception in that book. 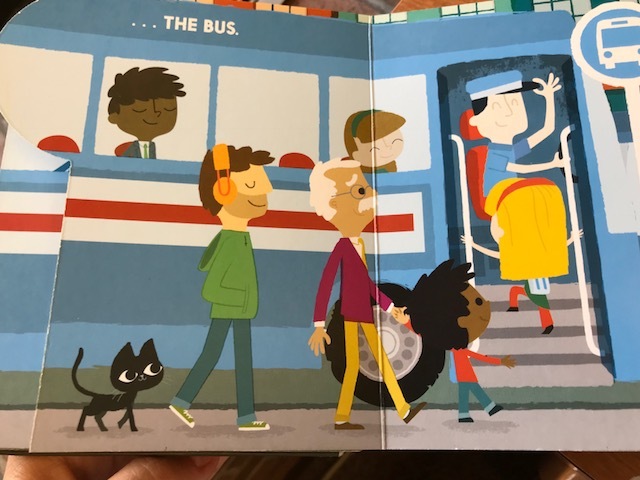 The main premise is that the city is too hectic so the truck suggest all the vehicles go in a single file line (and of course the bus goes last in line). This article and comment feed is my favorite Streetsblog post to date. 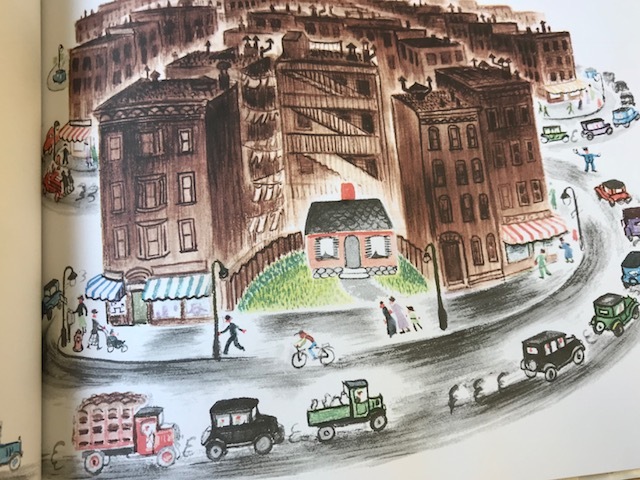 I am partial to Zachariah OHora’s “No Fits, Nilson,” where the family takes the F train about halfway through the book. “Make Way for Ducklings” surely deserves a mention for shared streets. 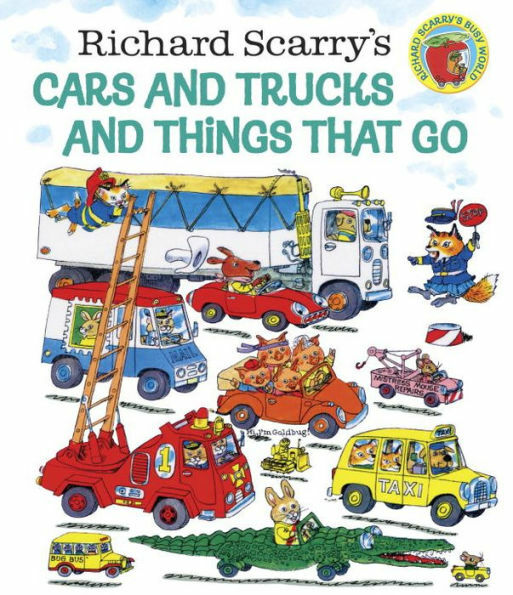 Bizarrely rereading my childhood environmental books, led by Dr. Seuss, there are a lot of references to cars – One Fish Two Fish – “I would never walk I would take a car.” gets censored when I read it to my son. I remember loving The Pushcart War when I was little. Later it occurred to me that you cannot take out a truck with a push-pin. The concept of "jaywalking" has become deeply embedded in American culture, but if you go back just a few generations, the idea that your mere presence in the street could be illegal was a novel idea. Now one elected official in Seattle is suggesting that laws penalizing people outside of cars have gone too far.